Katz describes SITE as geared toward international Islamic jihad. In fact, it performs an international function akin to what a Southern Poverty Law Center or Anti-Defamation League do domestically–ferreting out and publicizing terrorist and “extremist” threats. “[W]e at SITE for over a decade monitor, search, and study the jihadists online,” she explains. We have been studying and monitoring the jihadists online, which also as they get more sophisticated, we follow their techniques and study them. And based on that, we could predict where they will be uploading their video. After all, we have to remember that much of this propaganda is being posted online. Their releases are released online [sic]. So they have to be able to use certain locations to upload their releases before they are published. 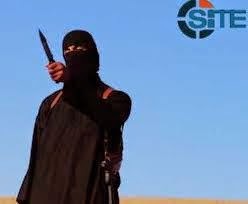 Though routinely overlooked in the flurry of front-page coverage corporate media have allotted the three beheading videos–the most recent of which featured British aid worker David Cawthorne Haines–it is common knowledge that SITE uncannily secures terrorist statements and videos well before the US’s wide array of lavishly-funded intelligence services. [a] small private intelligence company that monitors Islamic terrorist groups obtained a new Osama bin Laden video ahead of its official release last month, and around 10 a.m. on Sept. 7 … It gave two senior officials access on the condition that the officials not reveal they had it until the al-Qaeda release. Within 20 minutes, a range of intelligence agencies had begun downloading it from the company’s Web site. By midafternoon that day, the video and a transcript of its audio track had been leaked from within the Bush administration to cable television news and broadcast worldwide. The video later proved to be fraudulent. With the above in mind, one may ask, If parties within a US presidential administration or the State Department sought to bypass the potential scrutiny of a wide-ranging intelligence community concerning such matters, while simultaneously providing itself with the means to effectively propagandize the American public toward a broader end, what better way than to contract the services of an entity such as SITE? If there is some merit in the above appraisal, the arrangement is now being pushed to an extreme by the Obama administration to pave the road toward a long-sought goal: war with Syria’s Bashar Al Assad regime. Indeed, services such as SITE’s are a potent and valuable means for moving public opinion, as they have done in recent weeks concerning military action against the Islamic State. Along these lines, a decade ago both John Kerry and George W. Bush credited the latter’s re-election to a surreptitious appearance by Osama bin Laden via video tape several days before the vote. Playing a role similar to SITE, IntelCenter acts as an intermediary between Al-Qaeda’s supposed media arm, As-Sahab, and major media. In other words, “they acquire the tapes and pass them on to the press, and have occasionally even predicted when tapes would be released beforehand,” Paul Joseph Watson reports. “IntelCenter is run by Ben Venzke, who used to be the director of intelligence at a company called IDEFENSE, which is a Verisign company. IDEFENSE is a web security company that monitors intelligence from the Middle East conflicts and focuses on cyber threats among other things. It is also heavily populated with long serving ex-military intelligence officials. As noted, news outlets seldom see fit to closely analyze SITE or Katz concerning their research and function as conduits for terrorist propaganda. A LexisNexis search for SITE Intelligence in the article content of US newspapers and major world publications over the past two years produces 317 items—an admittedly low figure given the prominence of SITE’s recent disclosures. Yet a similar search for “Steven Sotloff” alone yields over 1,000 newspaper stories and 600 broadcast transcripts, suggesting the sensationalistic usage and effect of SITE’s data and how neither SITE nor Katz are called upon to explain their specific methods and findings. Indeed, a similar search for “SITE Intelligence” and “Rita Katz” yields only 26 entries over a two year period. Of these, 14 appear in the Washington Post, a publication with well-established links to US intelligence. Four New York Times articles feature the combined entities. In a CNN on the heels of the Sotloff beheading, Katz explains how again SITE curiously surpassed the combined capacities of the entire US intelligence community in securing the Sotloff footage. The location from where the video was obtained from is the location where ISIS usually uploads their original videos to [sic]. The video shows a clear message from ISIS that follows the same message that it had before. And in fact within a short time after our release, ISIS’ account on social media indicated that within a short time they would be releasing the video, only we actually had that video beforehand and were able to beat them with the release. This unusual statement alongside SITE’s remarkable abilities, in addition to the fact that it is a past government contractor that has been caught spreading dubious information, should put news outlets on guard concerning virtually anything the organization produces. Undoubtedly this is a great deal to ask from a news media that all too frequently participate in orienting public opinion toward war, a feat it has once again accomplished with the aid of SITE. The interests and alliances of the transnational entities owning such media make them poised to profit from the very geopolitical designs drawn up by SITE’s corporate and government clients–the most important of which may be those seeking to broaden Middle Eastern conflict. No doubt, the widescale acceptance of such propaganda is also the result of the vastly diminished critical capacities of the broader public, now several decades in the making. “SITE Institute,” Sourcewatch.org, Center for Media and Democracy, n.d.
 “Media Groups,” SITE Intelligence Group, n.d., accessed September 15, 2014. Karl Penhaul, Pamela Brown, Alisyn Camerota, Don Lemon, Paul Cruickshank, “Joan Rivers on Life Support; Chilling Words From ISIS Terrorist; How to Fight Radical Recruitment” (transcript),CNN, September 2, 2014. Joby Warrick, “Leak Severed a Link to Al Qaeda Secrets,” Washington Post, October 9, 2007. Paul Joseph Watson, “Another Dubious Osama Tape Appears When the Neo-Cons Need It Most,” Prisonplanet.com, July 16, 2007. Ibid. See also, Kurt Nimmo, “Sotloff Video Found by Group Responsible For Releasing Fake Osama Bin Laden Video,” Infowars.com, September 3, 2014. 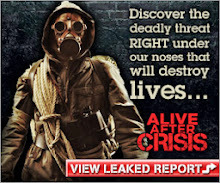 This article first appeared at MemoryHoleBlog.com, the official blog of Dr. James Tracy.